Like millions of other women, HLN anchor Christi Paul blamed herself for the emotional abuse heaped on her by her first husband, whose violent, profanity-laced tirades left her feeling as though she had no value, no self-worth, and nowhere to turn for help. Then one day, when Christi was taking refuge in a church parking lot, the verse “Trust in the Lord with all your heart and lean not on your own understanding” popped into her head. In that moment, she realized she did have someplace to turn after all. Holding fast to her Christian faith, Christi began the arduous process of rebuilding her self-image and regaining control of her life. Now happily remarried and the mother of three girls, Christi feels called to share her story in the hope that other victims will find courage to seek the help they desperately need and deserve. 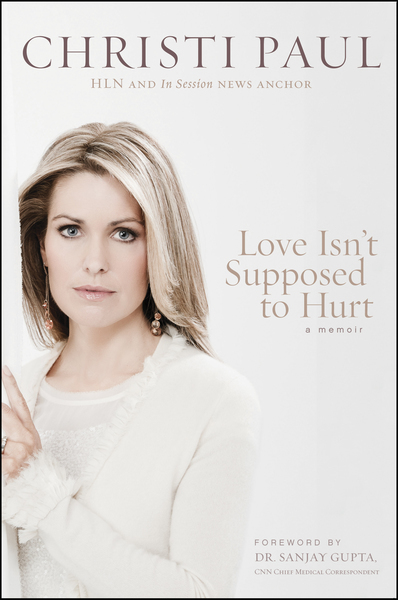 Written with candor and poignancy, Love Isn’t Supposed to Hurt chronicles Christi’s personal experience with emotional abuse and shows how—with God’s help, some unconventional therapy, and faith—she was able to break the cycle and regain her sense of self-worth.